If you use Windows, you are familiar with File Explorer. File Explorer is the default file management tool for Windows. 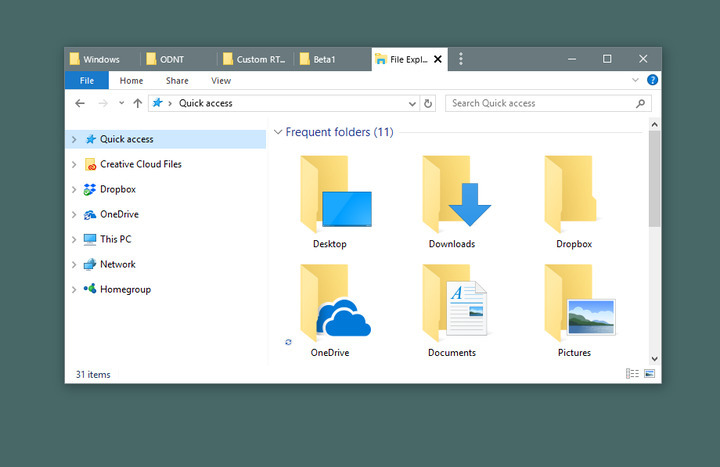 When you are managing files and folders stored on or connected to your PC, it’s the first app you open. However, you might be able to do much more than you currently do within this basic tool. There are File Explorer extensions that you can add to give it even more functionality. Here are some third-party apps for File Explorer that you can download and install right away. These utilities could make using File Explorer faster and easier. Mountain Duck is a handy app that allows you to mount both server and cloud storage as local volumes in File Explorer. It is useful if you need to manage several different cloud storage services at once because switching between different interfaces can slow you down while you are working. Mountain Duck lets you perform any operation on remote files and folders as easily as you can with local files. It includes the built-in utility Cryptomator that encrypts your data on any server you use. The app supports many different cloud storage servers including SFTP, WebDAV, Amazon S3, and Backblaze B2. The newest version 3 will have a smart sync feature that works just like other cloud storage services. 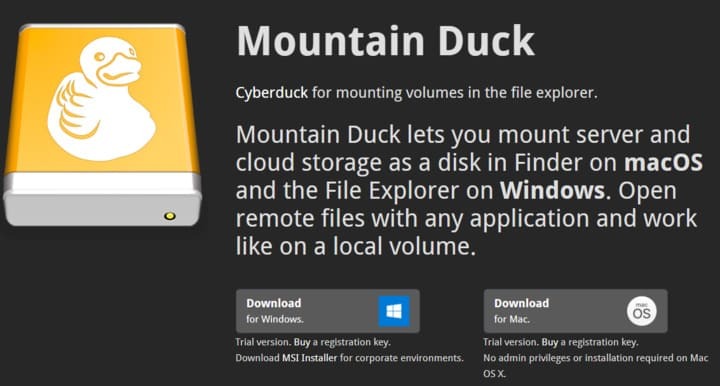 Mountain Duck comes with a free trial and is then $39.00 to purchase. Moving large files from one folder to another can be time-consuming and prone to errors. TeraCopy is a utility app for moving and copying files, using dynamic buffer adjustments in the copying process. It creates pending queues with multiple file operations and executes them at the same time. If an error occurs, TeraCopy will skip only the corrupted file instead of terminating the entire transfer process. Since TeraCopy integrates with the context menu, it can replace the default copy handler in Windows. TeraCopy is free, but there is also a pro version for $25.00. If you often work with video files, Icaros can make that process more user-friendly. Many times videos display in File Explorer with just an icon, making it difficult to identify the videos. This utility is a pack of shell extensions that allow your computer to display thumbnails of any video type in your File Explorer. When you enable Icaros, every video media file reveals thumbnails, allowing you to get a look at the content without actually opening the files. Icaros supports most popular video formats including MKV, FLV, AVI, and MP4. If you have lots of video files, then this extension can prove handy. 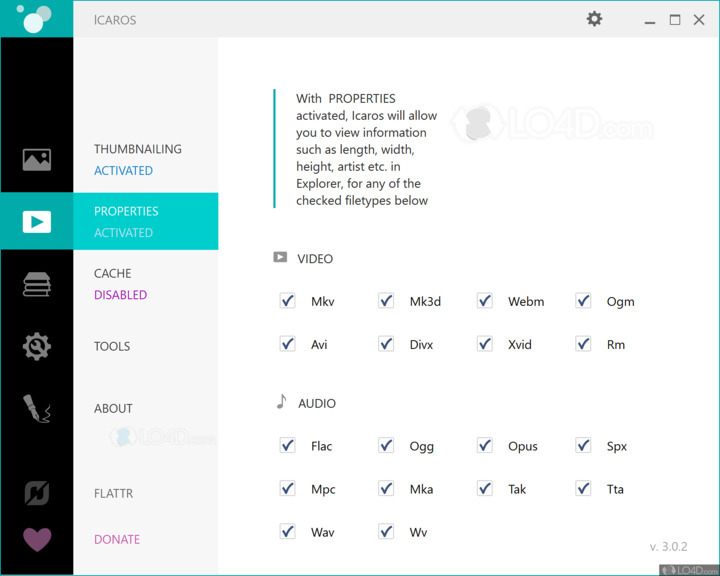 Icaros is completely free to use. If you work with a similar set of windows every day, Groupy allows you to save the group and re-launch the app to load tabs. The app creates tabs for Windows apps, and you can use it to organize multiple Explorer windows into logical groupings. Simply drag and drop a window you want to group over the title bar of another window. Some things you can do with Groupy include organizing multiple apps and documents together so they can be easily accessed, grouping related tabs together, and saving groups of applications to use later. Groupy comes with a thirty-day free trial and is only $5.00 to purchase. 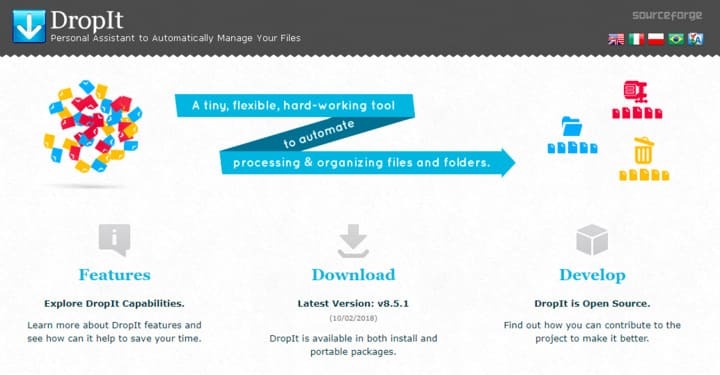 DropIt is an app that can automate all of your file management. When you need to organize files, DropIt can reduce the time and aggravation of searching and manually opening folders and moving files around. In this app, you can drop different files and folders on the floating DropIt image, and it will send them to predefined folders. It can also open them with their default programs, and compress or extract them based on your needs. You define how to filter your files (by name, directory, size, date, etc.) and associate one of many available actions to perform on those files. These actions include Move, Copy, Compress, Extract, Rename, Delete, Split, Join, Encrypt, Decrypt, Open With, Print, etc. DropIt is a free extension for File Explorer. Sometimes it seems like the technology we use to make things easier ends up taking more time. This makes us less productive. Using these apps can help you spend less time during the day managing files and more time working on your projects.